FLINT, MI — Dennis Lazar never thought a quick tweet would lead to anything big, but it resulted in one of the most famous U.S. presidents coming back to life — as an evil clone. Lazar, a 27-year-old Flint native now living in Chicago, sent out a tweet as part of a Heineken-led contest in which people tweeted out their best ideas for movie plots. The winning idea would be chosen, handed over to a Hollywood crew, and turned into a 15-second movie that would be premiered at the Tribeca Film Festival. Here’s how this should play out: As Linclone’s reign of terror unfolds, the scientists realize that the only way to stop him is to genetically engineer an assassin using DNA from the John Wilkes Booth vertebrae at the National Museum of Health and Medicine. Linclone then constructs a gigantic mecha from parts of the Enola Gay at the National Air and Space Museum. A climactic, CGI-heavy battle ensues on the National Mall. Roll credits. A few days ago, somebody paid $225,000 for a revolver carried by Wyatt Earp in Tombstone, perhaps the one he used in the O.K. Corral gunfight. The gun came from the estate of Glenn Boyer, a controversial Earp researcher and collector who died last year. Was this the revolver Earp carried to the Old West’s most famous gunfight? Maybe, maybe not. The serial number’s been removed, but X-ray tests indicate that it matched a weapon Earp owned. That doesn’t mean he used it at the O.K. Corral, of course. Western researcher Bob Boze Bell writes, “Wyatt Earp owned over two dozen weapons while he was in Tombstone.” Still, any Earp-owned gun is an extremely cool thing to have. That’s pretty darned long for a revolver, and way too long for the standard single-action Colts that most people associate with frontier gunslingers. Maybe Bauer was mistaken. Or maybe his testimony reveals a kernel of truth at the core of some gunfighting folklore. 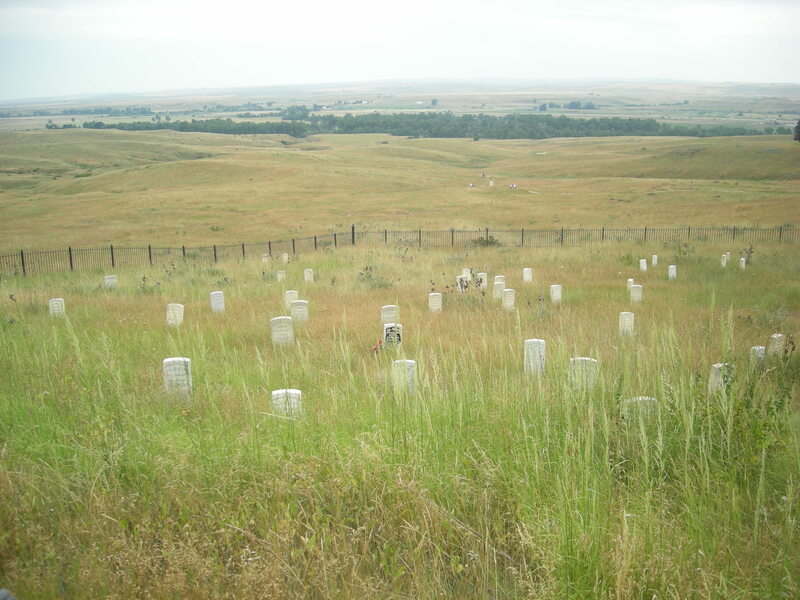 Stuart Lake, one of Wyatt’s early biographers, claimed that dime novelist Ned Buntline was so grateful to Earp and a few fellow Kansas lawmen for providing him with material that he gave each man a custom-made Colt revolver with an extra-long barrel. Put a ten or twelve-inch barrel on a Colt, and you’d end up with a gun long enough to fit Bauer’s description. The problem is that Lake was to Wyatt Earp what Parson Weems was to George Washington–a biographer who wrote down as much legend as fact. There’s no solid evidence that the “Buntline Special” existed, let alone that Earp had one with him in Tombstone. Colt has no records of any such order. Some folks have accused Lake of making the whole thing up, but he apparently believed the Buntline story, because he tried to track down the pistol’s whereabouts. Interestingly, a Tombstone gunfighter named “Buckskin” Frank Leslie ordered a special long-barreled Colt in 1881, the same year as the Earps’ showdown near the O.K. Corral. Did he see Wyatt carrying an extra large pistol and decide he wanted one of his own? Some writers have raised the possibility. Bauer also testified that Wyatt was wearing a short coat that day, and that he drew his pistol out of one of its pockets, which indicates that he had the gun tucked in his waistband and pulled it through a special pocket slit. But at least one O.K. 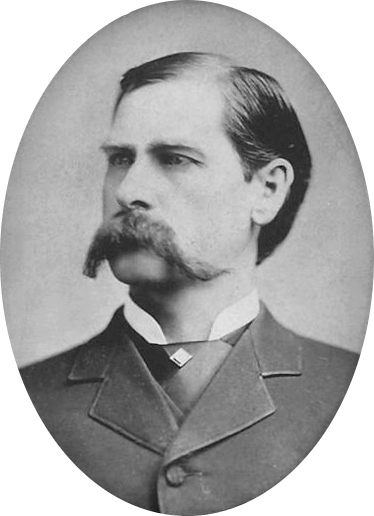 Corral researcher has argued that Earp put on a specially modified overcoat before the gunfight, one which had deep, customized pockets lined with leather to make a less conspicuous holster for a longer pistol. And some Earp scholars think he didn’t use any kind of Colt six-shooter at all during the Tombstone shootout, but a Smith & Wesson instead. As you can tell, there’s quite an extensive secondary literature on the O.K. Corral gunfight, with incredibly minute analyses of who carried which type of gun, who was wearing what, who shot when, and who said what before the shooting started. I’ve seen reconstructions of the armaments and tactics in that tiny Arizona lot that are so painstaking and thorough they’d put any study of Antietam or Gettysburg to shame. It’s a fascinating little historiographical niche. We’ll probably never know for sure whether Earp owned a souped-up Colt, or which of his guns he used at the O.K. Corral fight. But the uncertainty hasn’t stopped showbiz from customizing Wyatt’s sidearms on the big or small screen. ABC’s Wyatt Earp TV series featured the Buntline, and in the movie Tombstone Kurt Russell’s Earp goes to the shootout armed with a special long-barreled revolver. Many years ago I got to hold the six-shooter Russell used in the movie, one of many singular experiences that resulted from having a mom who enjoys researching about gunslingers. Maybe someday I’ll blog more about all that. For now, I’ll just say that if you think the Civil War enthusiast community is colorful, you should spend some time in Earpdom. It turns out the famous Confederate spy had relatives living at Blount Mansion during the war. Pretty neat! As a Southern Campaign guy, I would love to see something like this happen. The expansive canvas of a cable miniseries is perfectly suited to tell the story of the war in the Carolinas. For the past week, I’ve been wondering which actors could play the major roles. The only one I could come up with is James McAvoy for Patrick Ferguson. McAvoy is Scottish, he’s close to the age Ferguson was in 1780, and I think he could convey something of Ferguson’s intelligence and determination. Other than that, I’m stumped. I tried to come up with a suitable Greene, Cornwallis, Morgan, Tarleton, Sumter, and Marion, but I’ve got nothing. I thought especially hard about who might play Isaac Shelby and John Sevier. There aren’t many thirty-something American actors working today who could sell me on the notion that a regiment of unruly frontiersmen would follow them across the mountains and into a hail of musket balls. Something tells me the Overmountain Men wouldn’t have been too impressed with Channing Tatum or Hayden Christensen. Help us out here, Gordon: Who could really bring Nolichucky Jack to life? …but the folks who are working to get the thing built don’t seem to see the need, at least not at this point. The NWHM’s president responds here.